Our 2019 ACCESS CARD program is exclusive to our 4-Day Diamond VIP, 4-Day Platinum, and 3-Day Gold Package holders and includes "2-for-1" wine tastings at our participating wineries as well as discounts and special offers at top vendors throughout Napa Valley. Note: you will NOT be sent your ACCESS CARD with your concert tickets, you will have to pick it up at our information table once you arrive in Napa this June. 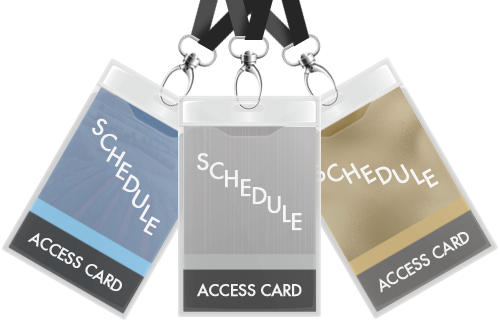 ** NEW FOR 2019: Souvenir ACCESS CARD laminates with full schedule! Many of you have asked for an easier way to get into the Wine Downs and After Parties. Well, you got it! We are happy to announce that all 3 of our package types (GOLD, PLATINUM & DIAMOND VIP) will include an integrated souvenir ACCESS CARD & Laminate with the full Getaway schedule printed on it for easy reference. Good for "2-for-1" wine tastings, discounts, and exclusive experiences throughout Napa Valley, the ACCESS CARD is worth hundreds of dollars in potential savings during your time at the Getaway! Just show it to our partners to obtain your discount (also mention it when making restaurant or winery reservations) and wear your laminate around your neck for easy entry to the Wine Downs and After Parties. Wristbands are no longer needed for the Wine Downs. For Platinum and Diamond VIP package holders, this laminate also serves as your shuttle pass. *Valid from Monday, June 3 through Friday, June 14, 2019. Calmere Estate - 2-for-1 wine tastings.